Cooking takes time. 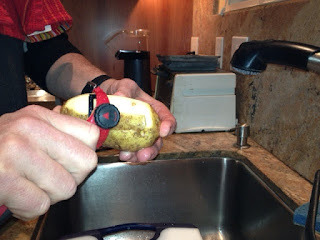 Prepping foods for a recipe is what takes the most time. I am always looking for ways to make me more efficient in the kitchen. Having utensils that work well and are easy to handle is key. 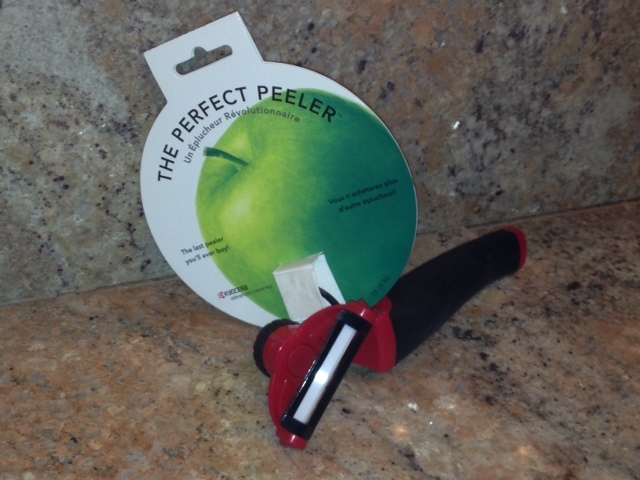 Knowing this, my husband treated me to The Perfect Peeler at Christmas. As you can see by the photos, it is easy to handle and glides well as you peel. 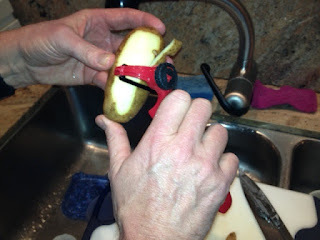 You can change the angle on the blade which is helpful depending on what you are peeling. It is also nice and sharp thanks to the ceramic blade. I did try it on a block of Parmesan and the blade popped off. It didn't break, thank goodness, but it clearly is made for peeling vegetables and not shaving hard blocks of cheese! I definitely like this new gadget!